Black and white where the autumn colours burns? Yes! And I’ll explain my choise. It was an overcast dull day, so color film was not an option really. But in the very soft light, the leaves of all the small trees that were in all different levels shimmered in bright yellow hues, so I thought that black and white film would be perfectly with fine gray scales. And I think that my choice was good. The camera is my large format camera which I gradually start to get to know. Nice acquaintance so far. Now in the winter coming, I will spend a lot of time getting to know the camera “movements”. Both images is from a beech wood last week. These are WOW….. Brilliant, the detail is some kind of superb. Excellent work.You can reach out and touch the leaves. Great work. Since I’m so new to this, I’m quite satisfied with them myself, though I’m not able to manage all the movements yet….. I completely agree with your choice! I like the second take the most. Just curious, which camera did you used? It is a large format Wista 45 DX field camera. The negatives in the size 4 x 5 are absolutely stunning…. By looking at these pictures my thoughts are already in the forest, awesome! Marie, I love both equally and for different reasons. The first one has some wonderful detail on the trees in those knots and whorls. The second one is just magical, whimsical and ethereal. The leaves lend a softness to the harder lines of the tree limbs. They are both just beautiful. What a great job with the Wista!! Thank you so very much Joey! Proper photography – I have no doubt the representation here doesn’t really do the pictures justice. Ooo, yes! The leaves have a lovely, ethereal quality, especially in the second shot. You and your field camera are becoming quite a team! The detail in these are extraordinary! Im very very new to 4×5 and large format but images like these keep me intrigued. 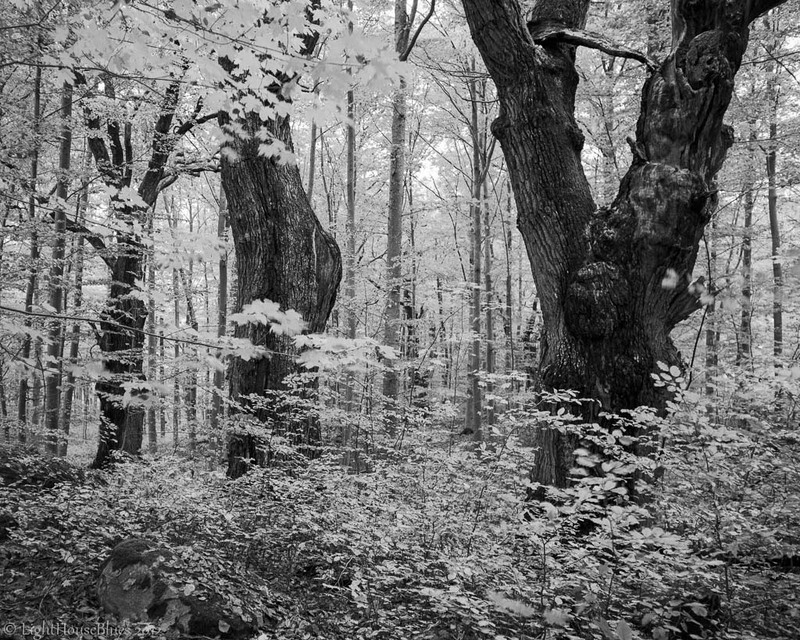 The leaves are very light screaming yellow, and I overexposed the FP4 just a tiny bit to get that expression. Fantastic range of tones throughout both pictures. FP4 is such a lovely film – I’ve just bought 10 rolls for my Hasselblad! Unfortunately it won’t stop raining here! Yes it really is a beautiful film, and I have found that when exposing it at ISO 100, it is preforming very well. Thank you very much Clare, I really appreciate your kind words!